Creamy cream cheese frosting kissed with the warmth of maple. This recipe is sure to make your taste buds dance! 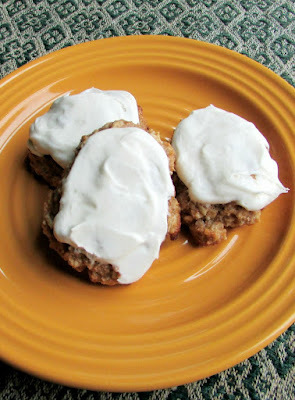 If you are a cream cheese frosting lover, you absolutely have to try it with a bit of maple syrup! 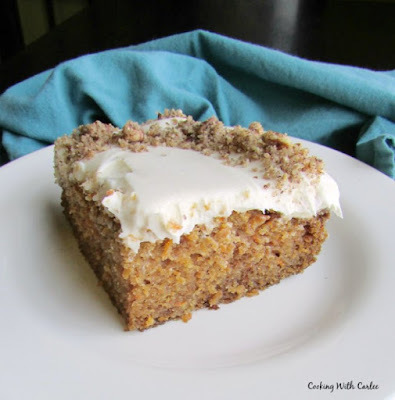 It is perfect on carrot cake, banana cake, graham crackers, cookies and more! I was making some banana bread cookies for a gathering and they needed some frosting. After all, everything is better with frosting! I didn't want any run of this mill frosting though. I wanted something soft and creamy with a flavor that would stand on its own yet compliment the cookies. So, I went to work. The maple cream cheese frosting that was the result of my little brainstorm was a hit! It even had Matt singing its praises. The maple flavor really comes through and compliments the cream cheese so nicely. I made mine soft and luscious, I wanted it to be reminiscent of banana bread with a sweet spread... but in cookie and frosting form! (I know, crazy right?!) With a little more powdered sugar I don't see why this couldn't hold up to anything you would do with your favorite frosting. Of course I wouldn't let what was left go to waste. So the graham crackers came out as a vessel to move the rest of the frosting to my mouth. BEST SNACK EVER! Cream together cream cheese and butter until smooth. Mix in powdered sugar and turn mixer to high and beat until light and creamy, about 5 minutes. Spread immediately or store in the refrigerator until ready to use. Follow Cooking With Carlee's board Frosting! on Pinterest. Yum!! A good frosting makes me happy!! Have a great weekend!! Me too! I absolutely love a good frosting! I hope you have a great weekend as well! Carlee, you have the most genius ideas, Graham crackers and Maple frosting, with a cup of tea! Yummmmm! That definitely make me smile! Have a fun weekend! That sounds like a perfect afternoon snack right there! Have a great one too, Christine! Just following your 'commentluv' (I luv it) This recipe sounds and looks wonderful. I so love maple syrup so it has to be good. It's hard to go wrong with maple syrup and cream cheese! Thanks for stopping over! Hi Carlee - I have been barely holding my head above water this month with blogging, getting my own posts published and not much else. Today, though, I made a point to visit your blog first, and so glad I did! I think I will make these cookies for my son and his friends to take on a camping trip today. And, being Canadian, of course I love anything maple :) Have a wonderful weekend. I completely understand. There are days I am not sure if I am coming or going. I hope things calm down for you and you have a chance to breath! I love maple flavoring. This looks super good. Thanks for sharing. Me too! It is one of my favorite flavors this fall! 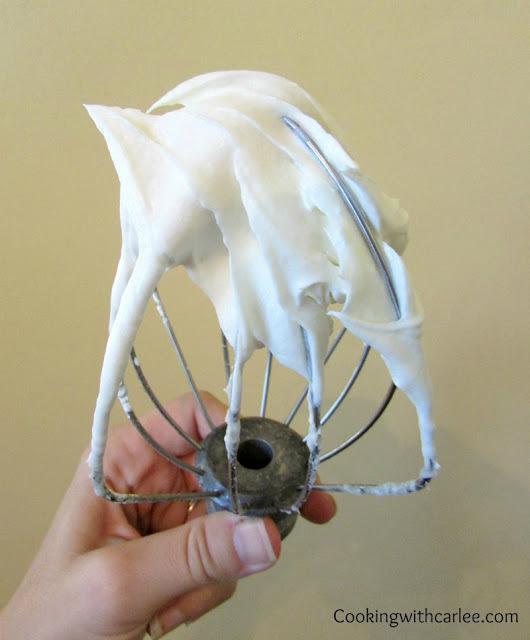 Oh, I will never look at cream cheese frosting the same way again! Brilliant. Only fear I'd spoon it up before I get anything frosted, lol. Thank you so much for stopping by and for hosting! Yum yum that looks so good! I don't think any of this frosting would make it onto the cake! It sounds so yummy. 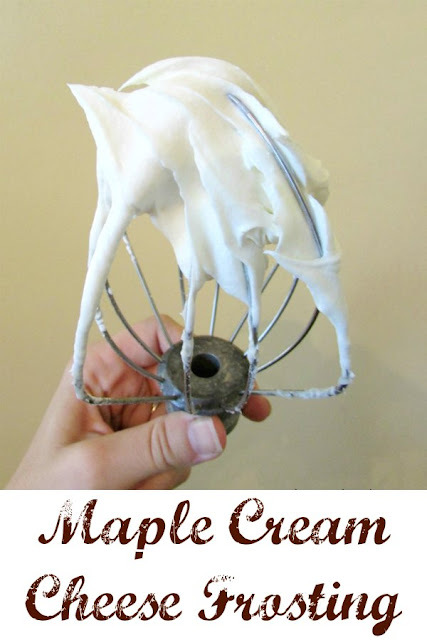 Cream cheese frosting is one of my favorites, and adding maple sounds divine. Maple has been one of my preferred flavors/sweeteners these past couple months. I can't get enough of it right now. I ate plenty right off the spoon and may have finished off the better part of a sleeve of graham crackers too! I'm not allowed to make any more for at least a week! YUM! Makes me want to try it between a stack of pancakes! Whole new meaning to "pan-cake!" Thanks for sharing! Oh my goodness, that would be amazing! Like a crepe cake only better! We aren't big on maple syrup in Australia however I've tasted it many times in the States. Thanks for sharing another delicious recipe with us at #WednesdaysWisdom and see you next time! It is really interesting what ingredients are harder to get in different places! I guess it makes sense! Thanks for hosting! Wow! i can't wait to try this! What a great combination! Pinned and scheduled to share with my Facebook readers! Visiting via Full Plate Thursdays! I'm loving this frosting, especially the maple syrup part. :) I bet it goes so well with the banana bread cookies (or all the pumpkin galore going around this time of year)! 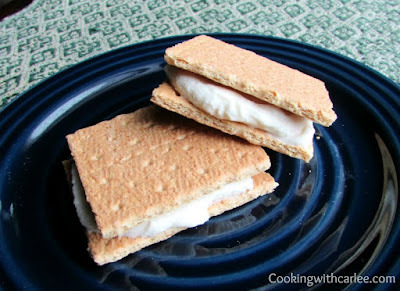 Thanks for stopping by and sharing this recipe on Five Friday Finds! It would be perfect on pumpkin treats! Mmmm. I need to make more! Frosting always makes everything taste better. :) So is it a thick type of frosting or more airy like would you say? Thanks again for sharing your creations with us at Talented Tuesday Carlee! It is more of an airy frosting. It could be made thicker to hold shapes if you wanted, but I kept the powdered sugar content relatively low. That way was soft, smooth, spreadable and not too sweet. Thanks so much for stopping over, Aspen! Have a wonderful week! I put this frosting on a carrot cake and it was a hit! Definitely a keeper! Hooooooooooooray! I am so glad you liked it!